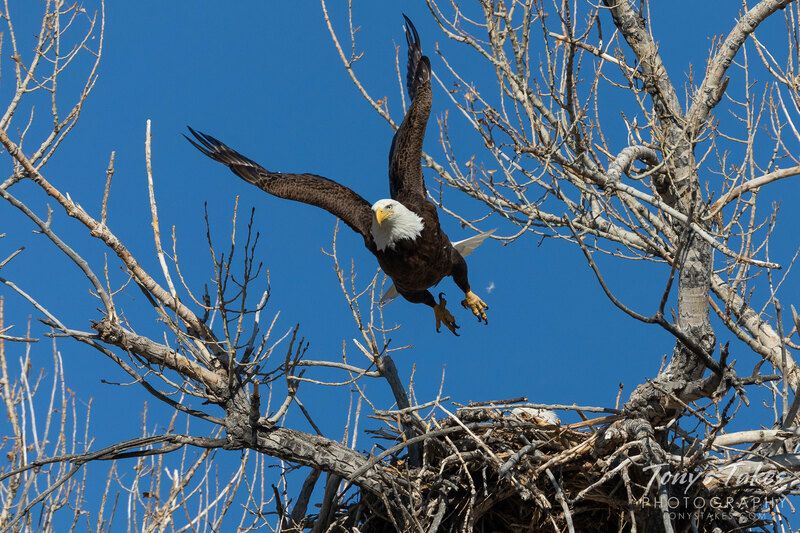 A visit this past weekend to a bald eagle nest I keep close watch on. All looked good and while I cannot be sure, I do suspect there might be eaglets in there. Three times over the five hours I was there, mama got up, stood on the rim of her nest, and would dunk her head into the nest bowl as if she was feeding something. Another week or two I am hoping to see some little bobbleheads popping up. Before this picture was taken, dad was hanging out on the opposite side of the river as he oftentimes does. He returned with a load of grass for the nest and after checking on his family, headed off again. He gave me an absolutely fantastic launch series.